There are so many reasons to visit the Lake District at any time of year. Here’s 15 of our favourite, plus Cottage Escapes’ very own infographic! Mountains: There are over 200 fell tops in The Lakes, the tallest of which is Scafell Pike standing at 3,210 feet – the highest mountain in England. Lakes: There are 16 stunning large bodies of water in the Lake District. Lake Windermere at nearly 15 square kilometres is the largest natural lake in England, and just one of the many reasons so many people visit the Lake District each year. Events: The Lake District plays host to some incredible events, festivals and carnivals each year, and are a big reason why so many people visit the Lake District, drawing huge crowds from around the UK and Europe. Three of the must-not-miss events are Mintfest at Kendal, Keswick Mountain Festival and Kendal Mountain Festival. Hiking: With England’s tallest mountain, stunning peak-top views and many great rustic country pubs to stop off at along the way, the many hikes of the Lake District are one of the reasons 15 million people visit each year. Cycling: Mountain bikers are spoilt for choice when it comes to peak trails and country lanes to explore. Home to the longest purpose built bike trail in the Lake District, Whinlatter’s Altura Trail offers stunning views of the Northern Lakes with climbs over 500m above Keswick. Umbrella: The Lake District is home to the wettest place in England – Seathwaite in the Borrowdale valley which enjoys a healthy 140 inches of rain each year. Don’t forget your brolly! Walking Boots: The Lake District National Park is renowned for its great hiking routes. Whether its a mountain peak, stunning valley or woodland trail, a sturdy pair of hiking boots and some thick socks are a must. Fishing: It’s great to bring your pets on holiday with you, and The Lakes are the perfect place to let your dog off the lead and have fun. Many holiday cottages in the area accept one or more pets! Fishing Rod: Keen fishermen visit the Lake District every summer to relax by the banks of some of the greatest lakes in the UK. Many are protected for conservation reasons, but three can be freely fished on alongside many streams and natural rivers. Binoculars: There is an abundance of wildlife in the Lake District which is cared for by the National Trust. Bring your binoculars to one of the designated bird watching posts and see if you can spot one of the 12 different species of bird on Lake Windermere alone! Camera: Keen photographers visit the Lake District and absolutely love the area, documenting the changing moods of Lake Derwentwater and other idyllic spots. But even a newcomer to the shutter lens will want to preserve the memory of their visit by taking as many pictures as possible. Hotels: There are nearly 500 hotels, inns and B&B’s in the Lake District that cater for any holiday budget from Ambleside to Bowness-on-Windermere. Camping: Feeling extra adventurous? Pitch a tent in a quiet and remote valley site, or enjoy a more luxurious complex with on-site shops and pubs. Cottages: To enjoy a true Lake District experience, a holiday cottage is the place to stay. Stop in luxuriously decorated cottages flowing with rustic charm and enjoy the warmth of the log fire, lap up the sun in a cottage garden and settle down to family dinners after a long day exploring The Lakes in your very own home away from home. Restaurants & Tea Rooms: The many beautiful towns and villages of the Lake District boast a great range of eateries from upmarket restaurants to cosy cafés. Pubs, Inns & Breweries: There will be no greater feeling that putting your feet up next to a roaring pub fire after a long days hiking or cycling. Traditional pubs and local ales make The Lakes a beer lovers paradise. 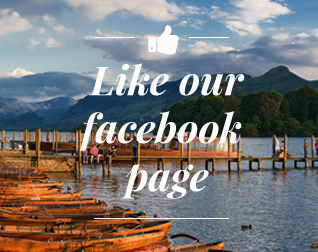 Ready to explore and visit the Lake District? Now is the time to book your Lake District holiday for 2015! Cottage Escapes present 4 and 5 star luxury holiday cottages in the Lake District at some of the most popular destinations like Keswick. See our amazing cottages here!